wrath of god is weaker due to change of physical since the old change of divine wrath was better. I found out sorcerer build spell are stronger then faith. Sunlight spell and dark moon buff spell need a divine damage addition. Grant should be buffable so a paladin player can be useful. I suggest to add a dark moon boss like 5 x stronger so like Darkmoon Capra Demon and Taurus Demon boss where you replace boar and black knight. I'll look into the buffs of damage types. the divine build should have similar damage if using the talisman from solaire or reah. I can make grant buffable. Also best and maintenance update dark soul so this should be on the hot list. Also you should used and ask permission for the music dark soul from Hellkite cause they made remix music and one from FalKKonE. _The Titanite Catch Pole has a weird strength requirement (35 str even though it only weighs 6). Is it intentional? 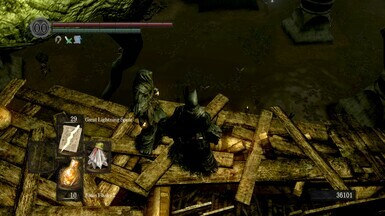 _Fighting the Titanite Demon close combat is now extremely difficult for some reason. _Will you continute to update the mod? Hi, Yes I plan to keep adding things to the mod as time goes by. -Some of the enemies run off ledges/cliffs, so this is hard to pin down which one it is. How far are you and whats your build layout? I beat the NG at level 122 with 35 str and 33 dex. 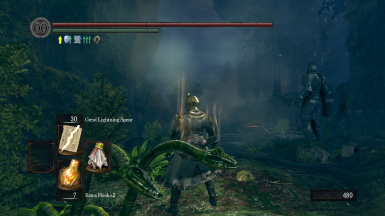 I am currently on NG+, and I got like 600k souls just by clearing Undead Burg and Parish alone. Like it :)). 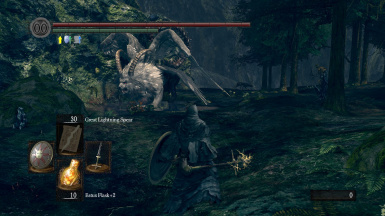 Btw why is Titanite Catch Pole imbued with crystal magic? 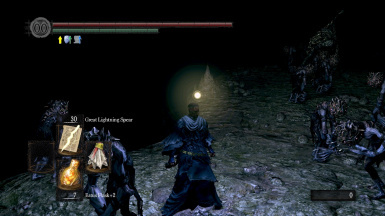 The Titanite Demon itself inflict Lightning damage not magic damage. Also are you going to add Titanite Chunks as sellable items? Lots of mods don't do this, and frankly I am quite disappointed, I hate farming. If I recall Vamos the undead smith in catacombs sells them. My firelink npc's are dead. I start the game, finish the asylum, go to new londo(firekeeper soul), open the gate to valley, get dragon crest shield, back to firelink, npcs are dead. Edit: I'm using only this mod. Sometimes they randomly die. I'm looking into it. 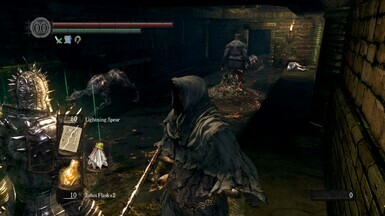 That happens, if you add NPC enemies to certain maps.